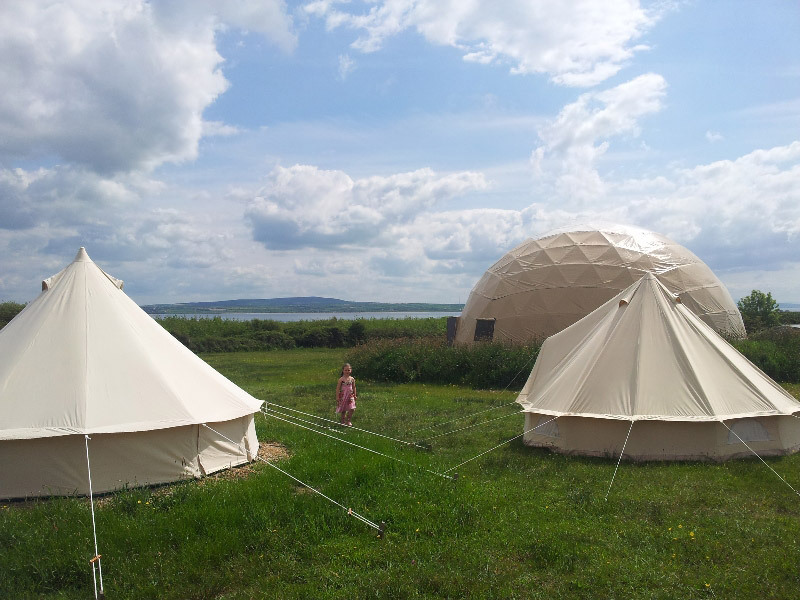 Pure Camping Eco Campsite, Clare | Glamping Western Way | Glampsites on and around the western coast of Ireland. 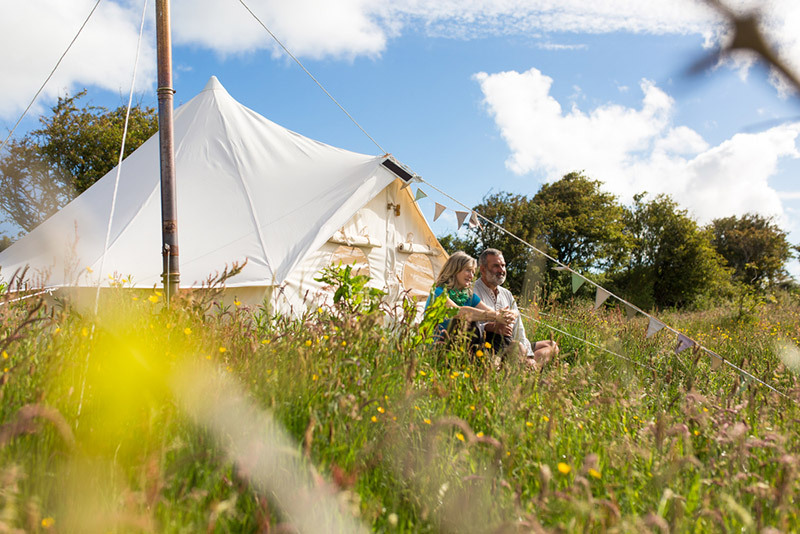 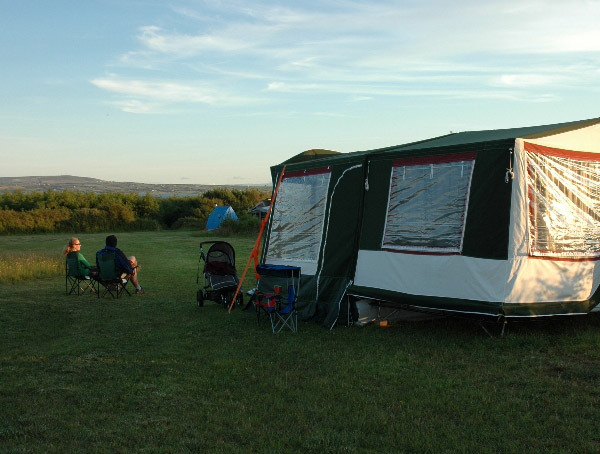 Purecamping is an eco-conscious campsite with grassy tent pitches, woodland camping and a healthy spread of glamping options, Purecamping is the perfect way-marker as you explore the west coast along the Wild Atlantic Way. 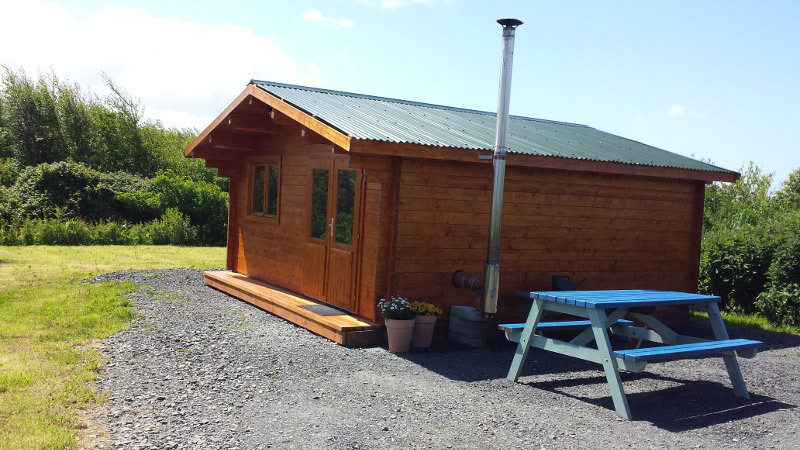 Owners Trea and Kevin offer a welcome equal in warmth to their hand built eco-sauna and introduce you to the campsite with all the passion of a couple who have crafted the entire place themselves. 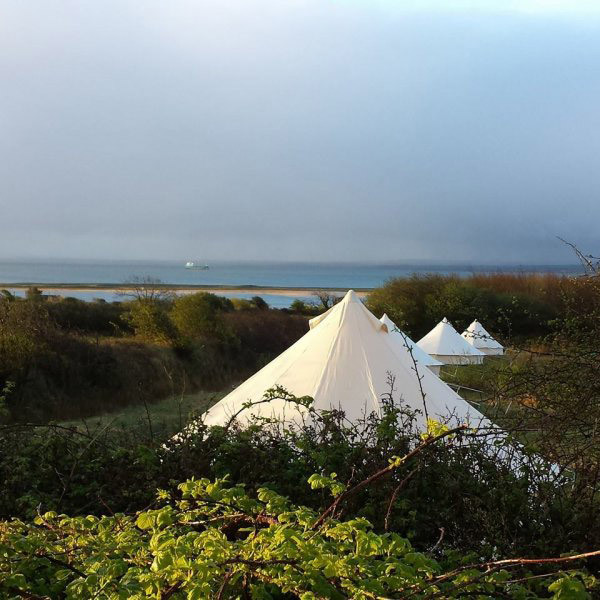 And, of course, they have. 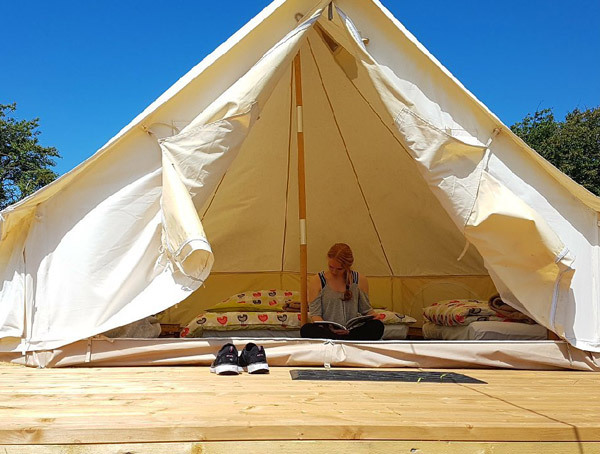 Passionate about providing a truly natural experience, the couple have transformed an open meadow and four-hectares of native woodland into a real escape for campers who want to hide away from it all. 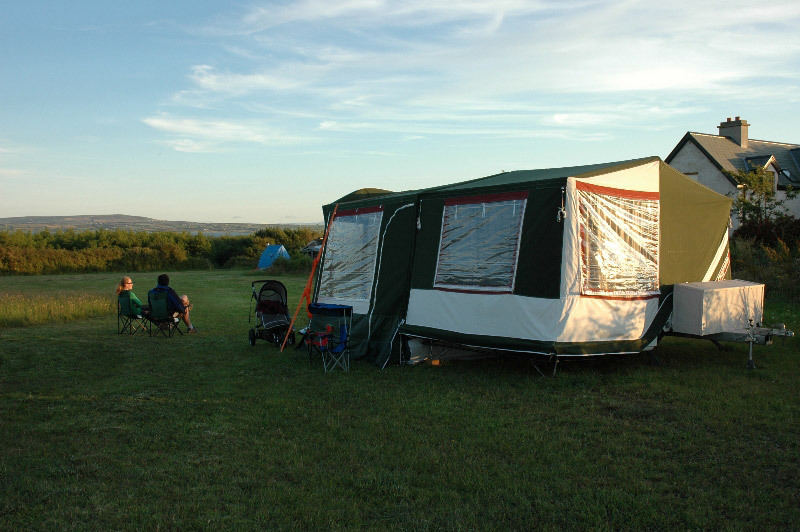 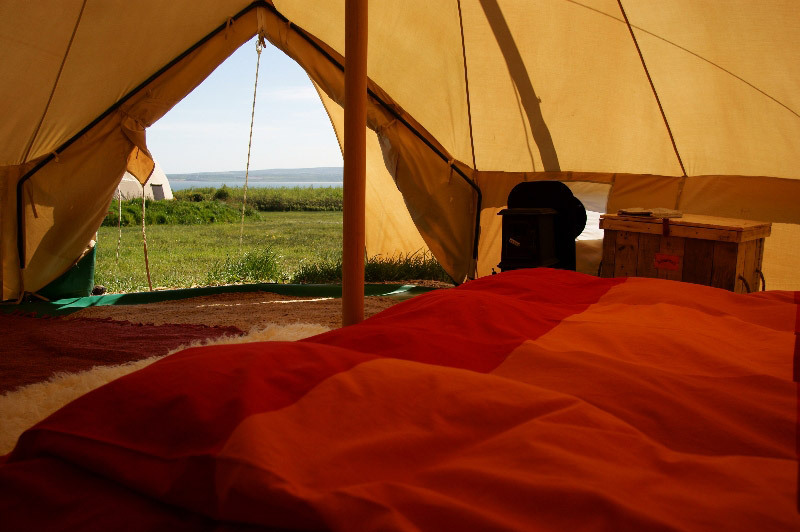 Glamping options onsite include fully furnished bell tents and two timber-clad eco-huts. 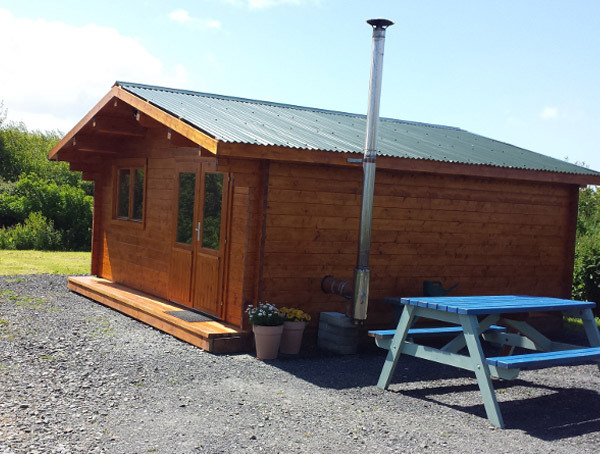 The wood-fired pizza oven in the outdoor kitchen, provides a sociable event for families, and when time allows try some Yoga with Trea in her charming Yoga centre.